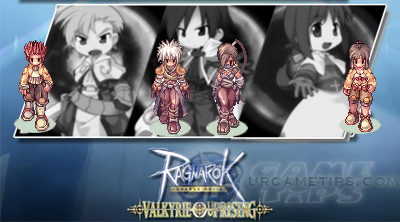 Here's a stats and skill build for the Thief job class in the MMORPG - Ragnarok Online: Valkyrie Uprising. This build will focus on using Katars as the main weapon, and exclusive skills that will reinforce the weapon. Katar Thief Sins excels in dishing out massive damages using their famous Sonic Blow skill and high Critical Rates! Refer below to learn more on how to build up your Katar Assassins! - Great damage output and survivability! attack power when it comes to items and skills. Aim for at least 30~40+ VIT to help increase your survivability. more heavily on equipments to compensate the lack of survivability and Attack Speed. job change. The purpose is to get 1 or max Sonic Blow and Enhanced Sonic Blow to Lvl 10 asap! let me warn you that playing Katar Sins will definitely consume more of your resources to level up! use a Flash Stick to reset your skills. You should get 1 free after changing your job class, Also make sure that you have a nice Katar to use for your current lvl! DEF by 20% for 5 seconds. - Meteor Assault Lvl 8 = Just to unlock Dagger of Sky and Sonic Blow. - Sonic Blow Option 1: = Your main attack skill! pots. SP wise, Lvl 1 SB is better than Lvl 10 SB in a set time without any SP help, but you'll get lower damage output and kill/exp rate. Note that 50% and 500% are Total DMG, not DMG per Hit!). - Enhanced Sonic Blow Lvl 10 = To compensate the Lvl 1 Sonic Blow. - Katar Mastery Lvl 10 = To increase damage output. - Sonic Blow Lvl 10 = Slowly reach max Lvl from this point on. - Total = 43 Job Lvls. - Sonic Blow Option 2: = Your main attack skill! maintain it's high damage output and kill/exp rate per 8 seconds. SP pots, SP Absorb % Katars, and some MaxSP+ card/s (refer to Stats section below for more info) will help you out. Make it a 1 skill hit wonder! - Enhanced Sonic Blow Lvl 10 = To add more extra damage to Sonic Blow. More Skills to Add Above! - Increased Dodge Lvl 10 = Increases Flee or Dodge Rate to up to 30%. 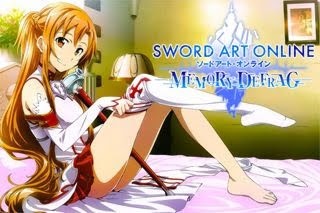 - Dagger of Sky Lvl 10 = To increase Critical Hit Rates. - (Critical +) Critical % Rate = Just get what you can from equips. - (Aspd +) Attack Speed = Just get what you can from equips or cards. 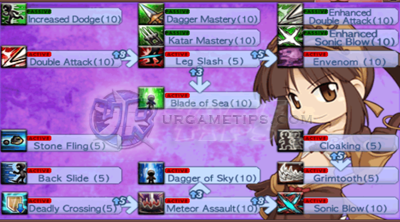 - (AGI +) = Just get what you can from equips. - (MaxSP +) = Accessory and/or Helmet card or cards will do. This will allow you to use Deadly Crossing + Lvl 10 Sonic Blow + SP Pots with ease especially at early Assassin Lvls. At least one 150 SP card on 1 of your accessory will do, add more if you want. - (Flee +) Dodge Rate = Mostly from cards and equips, to increase survivability! - (HP Absorb %) Life Steal = Nice bonus stat to recover some free HP (optional).